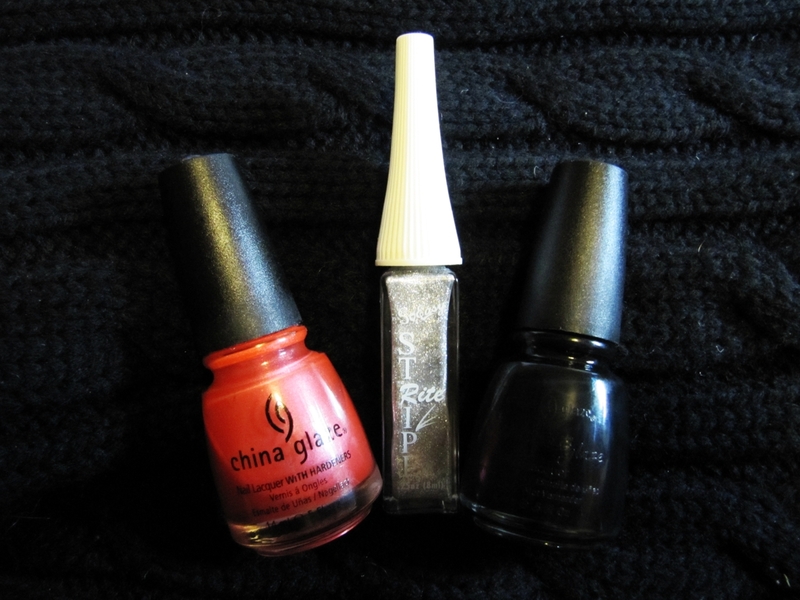 After a few more nail posts, you should be able to tell that I am a big China Glaze follower. I love their nail polish! They have a huge range of colour, including mattes, glitters and metallics. They also go on rich, creamy and smooth. And just like eyeshadow – that makes me happy! What I love most about Crackle Nail Polish, is you can add it to your nails after 2-3 days when they start to look tired and it makes them look brand new, like you just redid your nails. Which you sort of did…but with just one easy top coat! This is certainly my most common use of the Crackle line of polishes. Saturday night I painted my nails with Coral Star Nail Polish by China Glaze and today they started looking a little weak. They definitely needed some touching up. So rather than just piling on more of the same shade, I had a little fun and added some Crackle Nail Polish to refresh my nails and change the appearance – without all the work of starting from scratch. I love also using the Stripe Rite products to finish the look with a nice clean line across the bottom edge of the Crackle polish.